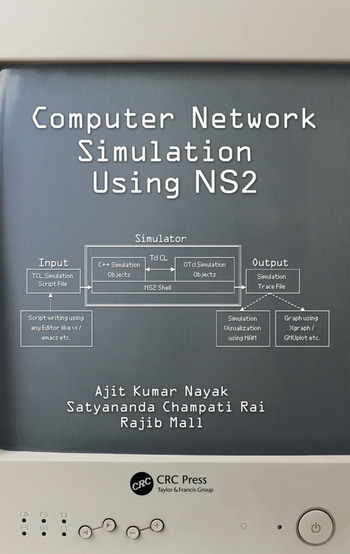 Computer Network Simulations Using NS2 provides a solid foundation of computer networking knowledge and skills, covering everything from simple operating system commands to the analysis of complex network performance metrics. 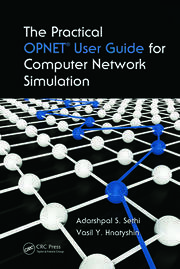 Computer Network Simulations Using NS2 emphasizes the implementation and simulation of real-world computer network protocols, affording readers with valuable opportunities for hands-on practice while instilling a deeper understanding of how computer network protocols work. Ajit Kumar Nayak is professor and head of the Department of Computer Science and Information Technology in the Institute of Technical Education and Research at Siksha ’O’ Anusandhan University, Bhubaneswar. He earned his M. Tech. and Ph.D. in computer science at Utkal University in 2001 and 2010, respectively. He has published more than 20 research articles in conference proceedings and journals. He is a member of the IEEE and IET and a life member of the Orissa Information Technology Society (OITS). He has guided more than 15 M. Tech. students, and five research students are currently pursuing their Ph.D. under his guidance. His current research interests include mobile ad hoc networks, wireless sensor networks, and language computing. Satyananda Champati Rai is currently working as an associate professor and head of the Department of Information Technology at the Silicon Institute of Technology, Bhubaneswar. He earned his M. Tech. and Ph.D. in computer science from Utkal University in 2001 and 2012, respectively. 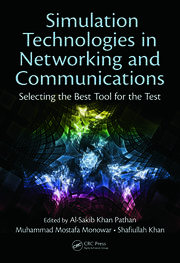 He has published 20 research articles in national and international conference proceedings and journals and has written a monograph titled QoS Provisioning in Mobile Ad Hoc Networks: Principles, Practices and Models. He is a member of the IEEE and a life member of the ISTE and Orissa Information Technology Society (OITS). He has guided 22 M. Tech. students and served as program committee member in several international conferences. His current research interests include mobile ad hoc networks, wireless sensor networks, and mobile cloud computing related to quality of service and performance analysis. Rajib Mall earned his B.E., M.E., and Ph.D. from the Indian Institute of Science, Bangalore. He worked for nearly three years for Motorola India Ltd. before he joined the Department of Computer Science and Engineering (CSE) at the Indian Institute of Technology, Kharagpur, in 1994, as a faculty member. He is currently a professor and the head of the Department of CSE and the School of Information Technology at the Indian Institute of Technology, Kharagpur. His current research interests include program testing and software engineering issues in large systems and those in real-time embedded systems. He has published approximately 200 research papers and refereed international journals and conference proceedings and has carried out a number of sponsored projects in the areas of program analysis and program testing. 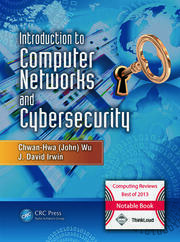 He is a senior member of the IEEE (USA).